With a fresh opportunity in the Fall Season, forward Tomi Ameobi and FC Edmonton are determined to take it. 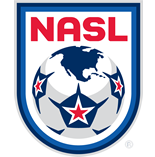 The veteran Englishman, who is approaching 100 NASL regular-season appearances, has been a catalyst in the club’s recent surge. Ameobi assisted on Ben Fisk’s goal in the 1-1 draw with Puerto Rico FC before scoring one himself in the recent 2-1 win on the road against the San Francisco Deltas. The Eddies, after a slow start to the 2017 season, still have plenty of work to do if the club is to return to the postseason, FC Edmonton has ground to cover in the Combined Standings, while the club is also in a position to chase for the Fall Season title. The Eddies dropped the first game of the Fall Season in a 2-1 loss to Indy Eleven, but since then the club is unbeaten in its last four contests. The results are putting more confidence and joy back into the game for the club. 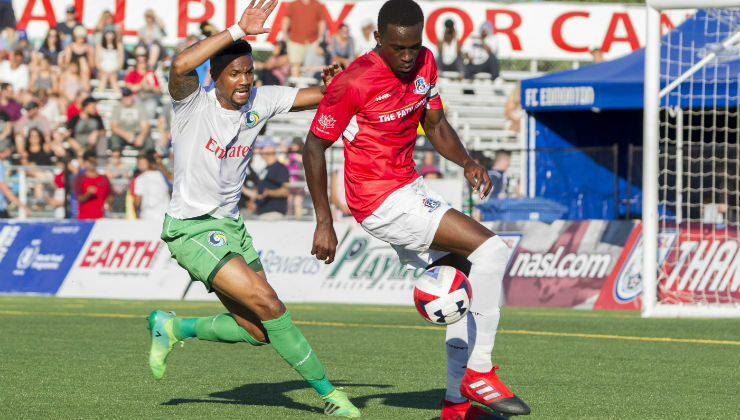 While the NASL veteran’s form has been on the rise of late, Ameobi is quick to point out the role his teammates have been playing in recent weeks. The club now takes its newly-found confidence back on the road, where the club has earned both wins of the Fall Season. FC Edmonton faces North Carolina FC on Saturday night at Sahlen’s Stadium. “Taking home wins on the road in this league is very difficult, so we’ll take as many of them as we can,” Ameobi said.